Wireless Printing Without a Wireless Printer! 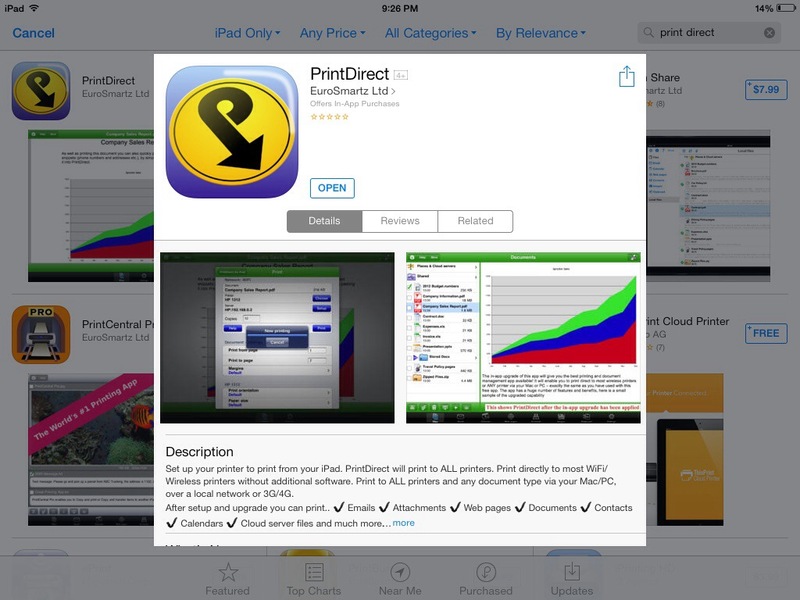 I recently learned about an app called Print Direct. By installing Print Direct on your iPads, you and your students can print wirelessly from the classroom to any printer in your school. Right now I am saving anything I need to Dropbox for printing from a laptop, but I will give this App a try to see if that’s easier. Thanks, I will take a look at this. Currently I am having them email them to a class email and then printing from one of the class computers. My plan for next year is to use Schoology, similar to Edmodo. I am choosing Schoology because the intermediate teachers here use it and my students will get an opportunity to become proficient on it. Using Edmodo or Schoology will solve all my printing problems I think!